Dardevil season 2 is currently streaming on Netflix and it introduces long time fan favorite character Elektra. She first appeared during Frank Miller's famous run on the book in this very issue as a former girlfriend of Matt Murdock's. A trained assassin she would ultimately be killed at the hands of the villain Bullseye only to be brought back year's later as all comic book characters seem to do! 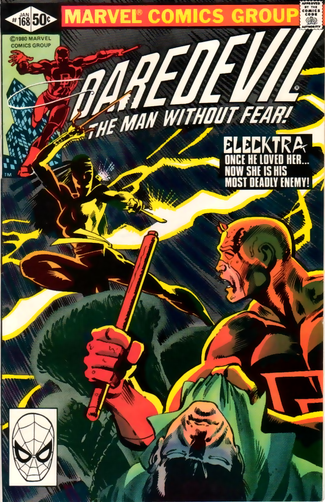 Interestingly enough, Frank Miller meant Elektra to only appear this one time but she became a recurring character after all and to this day had one of the most famous first apeprances in comics, as well as one of the most famous deaths.